We asked our readers what issues or activities they would like us to write and many responded that they are concerned with bullying and their child’s self-esteem. Bullies only bully when they sense they have a victim. The best way to combat a bully is by standing up for oneself or to effectively ignore the bully. When we don’t feel good about ourselves, that can be difficult to do. We felt that before we could address the topic of bullying we first needed to talk about self-esteem. Show the child that you love them, both by your actions and your words. Teach them how to problem solve. When a child runs into a problem it is natural to jump in and help them. 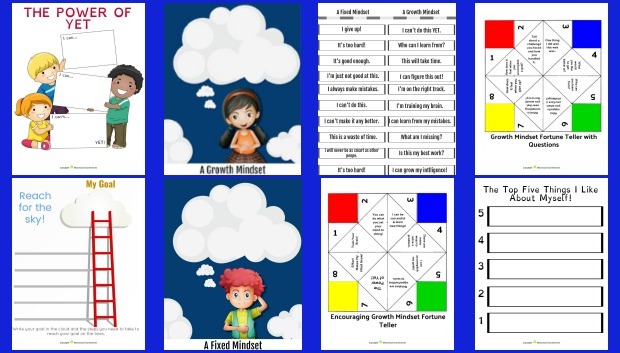 Try to step back a little and encourage the child to solve the problem themselves. Let the child do things for themselves. Age appropriate chores are a good way to start. I was guilty of doing too much for my daughter. I learned the hard way that when we step in and take over, we are giving children a subtle message that we don’t trust them. The more capable they are the more capable they will feel. Help your children find their special talent. It does not need to be some grand talent, like being on track to be an Olympic athlete, it can be something that others may not consider a talent, like being the best at their favorite game. Be careful not to measure a child’s progress against others.Praise and reward them when they are successful at accomplishing something that is difficult for them. Point out that everyone is different and that is what makes us all special. Set attainable goals. For children who are reluctant readers, I start them at a level below what they are capable of and go up a level as they show confidence. Find ways that the child can help others. Have the child volunteer, read books to younger children, perhaps they can help a neighbor. Be careful to keep your worries to yourself. It is easy for us to be upset when our children are sad but our children will read this as a sign that there is something wrong with them. 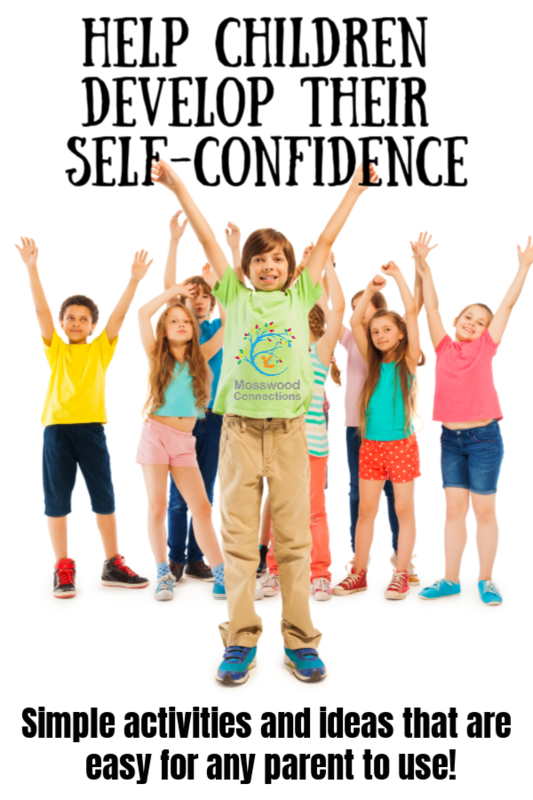 Model self-confidence and self-esteem in your own life. Now it is time for me to be really honest. 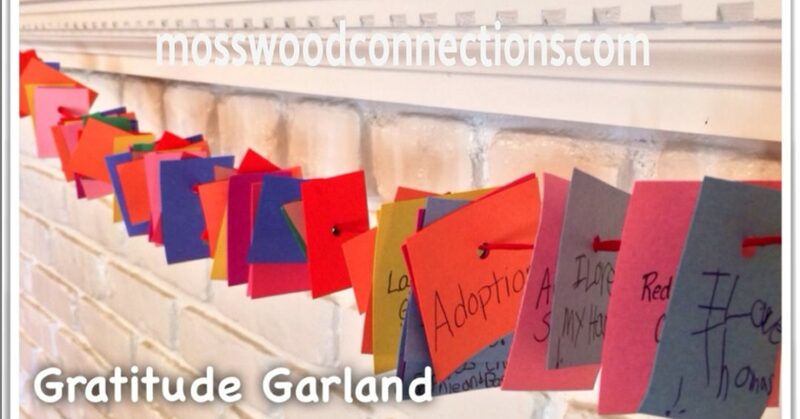 My clients and I have done all these things with the kids, but sometimes it is not enough. Sometimes the child will get messages that we cannot filter. Like the boy who told me that he loved books until he started kindergarten. At first, he was excited by the big basket of books, then he noticed the level numbers on the back of the books, then he noticed how many there were, finally he noticed that his classmates were reading books with much bigger numbers. That was enough to affect his self-esteem and turn him off reading. Another girl that I worked with struggled with social skills. Even the kindest children would become frustrated with her, which made her anxious, which made her act even more awkwardly and the circle of self-esteem continued to spiral lower and lower. 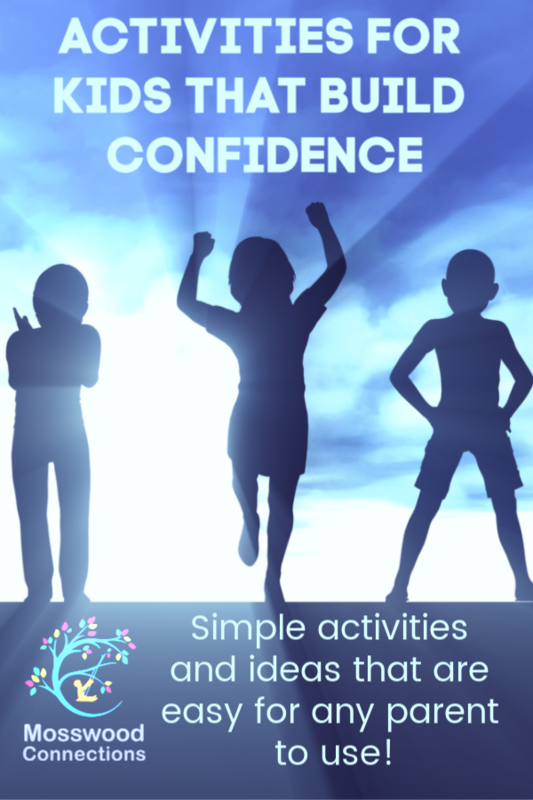 Over the years, we have come up with some self-esteem activities for kids to bolster and build self-esteem and confidence. 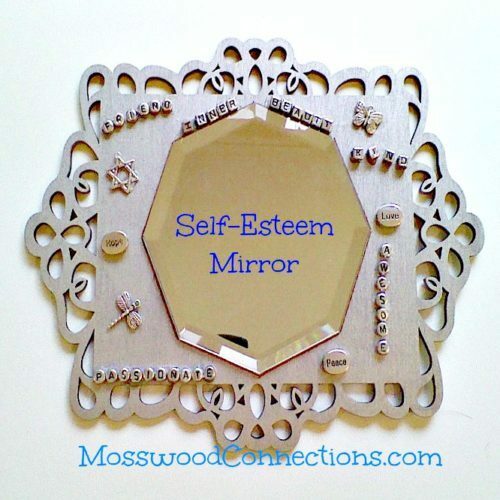 This easy self-esteem craft reinforces and reminds us what we like about ourselves. The kids also love making them for each other which adds an extra layer of sweetness. You know that self-critical voice in the brain that tells you how stupid you are? Well, if you don’t, you have very healthy self-esteem. The rest of us know that evil, demoralizing voice. It’s the one that reminds you of every embarrassing moment, anything hurtful that has been said, every mistake. A child I know had a really loud, evil voice in her head. With encouragement, she decided to name that voice Greta. For one month whenever Greta started to invade her thoughts the child was directed to go to the bathroom and tell Greta off. It was actually amusing to eavesdrop outside the door and hear her telling Greta to cut it out. It takes some time, but after awhile it becomes a habit to just shut “Greta” down whenever she tries to sneak back in the brain. Daily affirmations and mantras are an effective way to replace the negative thoughts with more positive thoughts. Move with Me combines song and movement with their mantras. Have the children decorate a box. They can store anything that makes them feel proud or good about themselves in the box. Maybe they will want to keep their swimming award in the box or an assignment from school that they did a good job on completing. You can also put notes of encouragement in the box. Whenever they are feeling down they can look in their box and feel better about themselves. Have the child write a letter of encouragement to read when they are stressed out. I just did this exercise with one of my students. 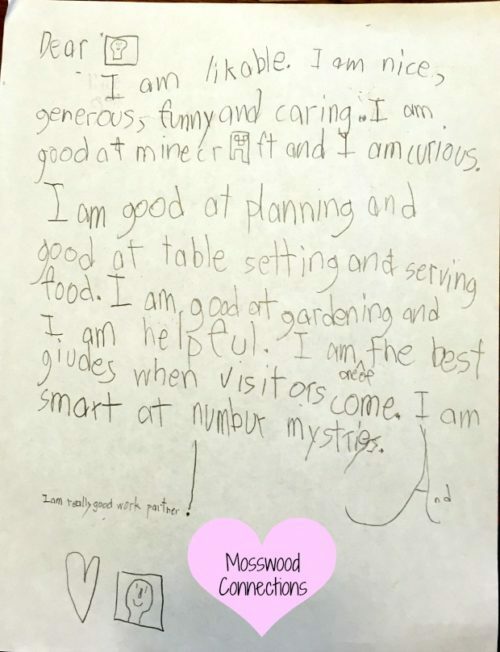 I had him write a letter to himself about all the things that he is good at. At first, he was resistant, he felt like it was strange and bad to brag about himself. After he finished writing the letter he decided that it was an awesome writing assignment. 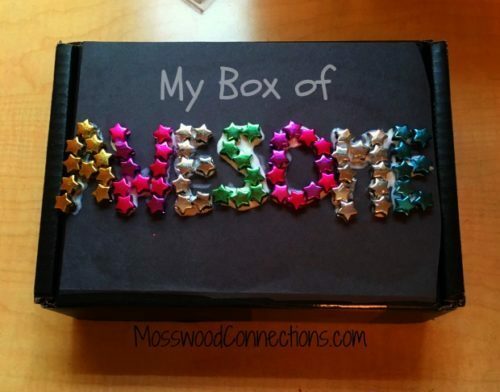 You can put that letter in “My Box of Awesomeness”. 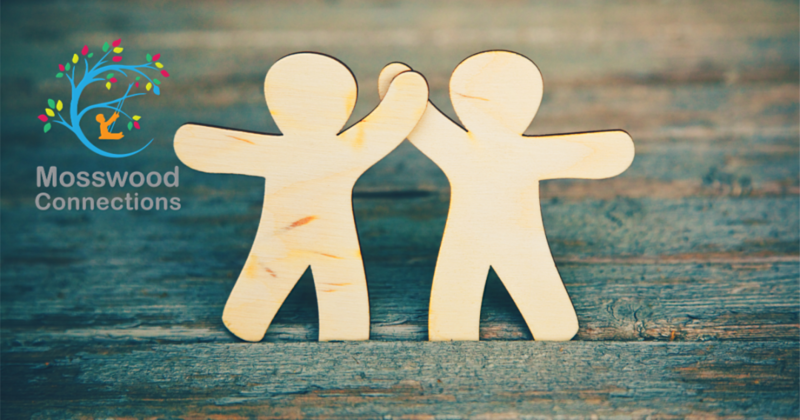 Nurturing and maintaining a healthy self-esteem is an ongoing process. 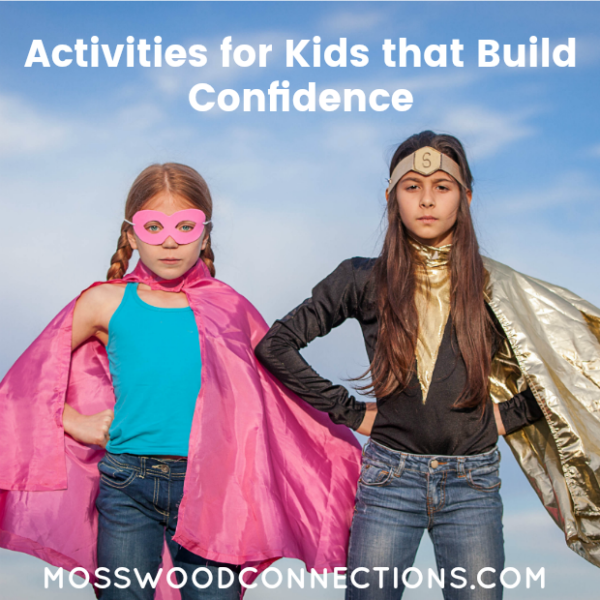 If we instill confidence in our children they can reach their full potential. After all, we all want our children to grow up into healthy adults who believe in themselves.